Unovis Ltd., Eshtetician, Salon, Spa & Skin Care Proffesional Training, Sales & Product Support. Whether you are a full-scale destination spa or an individual skin care professional we can provide training for JANSSEN Cosmetics products as well as advanced methodology for your current product line-up. Our facility is designed to provide a comfortable setting to teach individuals and groups, or we can arrange on-site training. 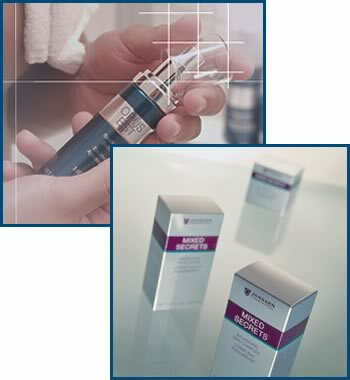 JANSSEN Cosmetics product line is quite extensive and our sales & product support team is here to inform and clarify. We aim to provide fast and efficient ordering and processing so your product shipments are accurate and arrive on-time.